current and history data for the last 4 days (Table 2). This information allows you to compare current prices with the prices in the recent past, as well as monitor changes in daily and weekly price ranges. In the input parameters, the user can set the color scheme of the displayed data and select the font size. The ColorName parameter sets the color of names of the table rows and columns. Default is clrOlive. 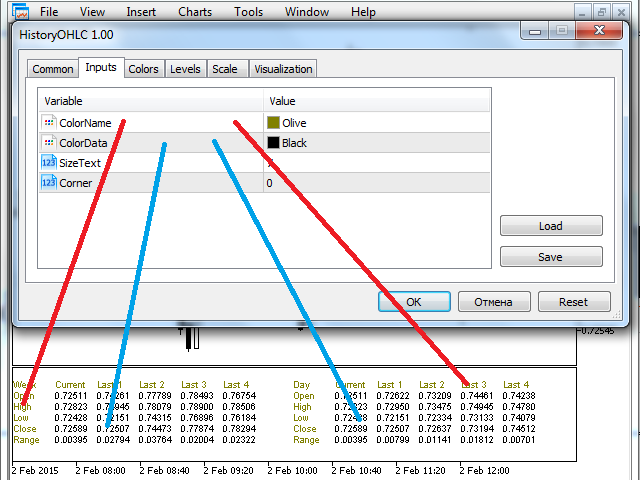 The ColorData parameter sets the color of OHLC prices and the range (of data) in the tables. Default is clrBlack. The sizeText parameter sets the font size for displayed data. Default is 10. Fixed a typo in the output of date. 4. 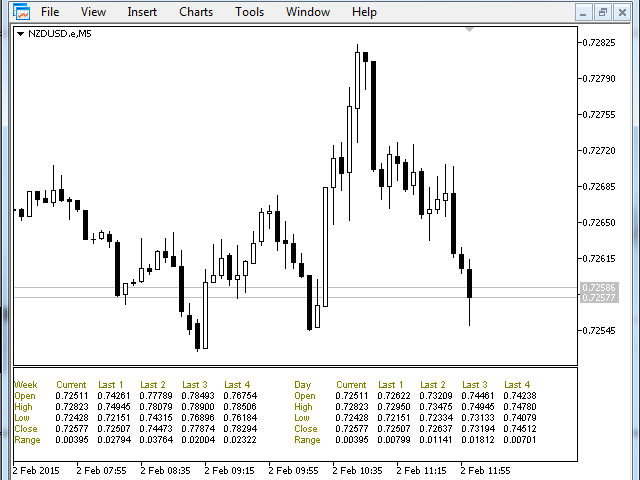 Optimized the vertical size of the indicator window based on the selected font size. 5. Optimized the operation algorithm of the indicator.